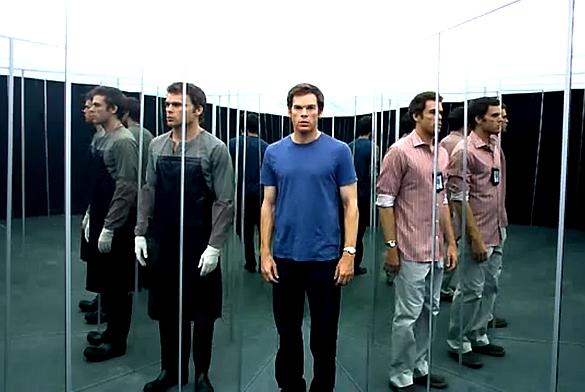 Dexter Daily: 4 Months Until the Season 7 Premiere! 4 Months Until the Season 7 Premiere! We are 4 months away from the season 7 premiere of Dexter! Today the cast of the show is shooting episode 7.01 "Are You...? ", and according to onlocationvacations.com, Dexter is filming at the Long Beach Airport in Long Beach. 4 months? Ah, it seems like ages since I thought to myself "just 5 month to go"... How am I gonna survive without my precious Dexter, now, when it seems season 7 will rock? How badly addicts are we? Can't wait for an episode of a serial... I already watched the first 5 seasons again 3 times!! till wait. this season i think will be gorgeous. I love this photo, it says so much without saying anything at all.